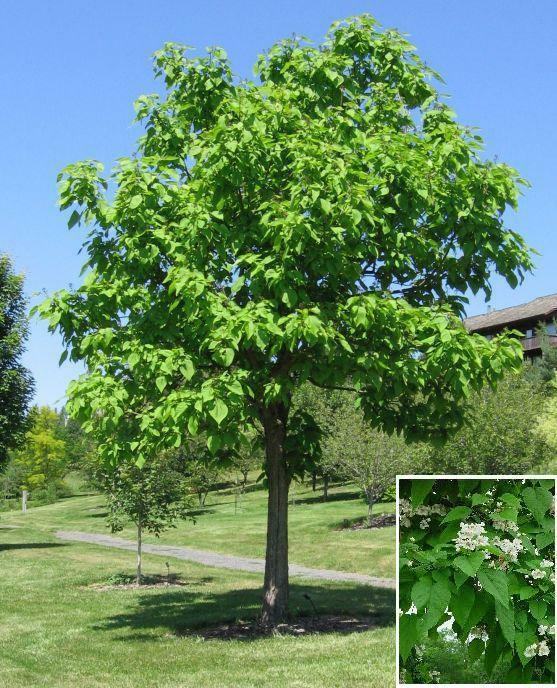 A fast-growing shade tree known for its tolerance of tough conditions, especially heat and drought. Its branch structure presents a bold, rugged appearance accented by large, heart-shaped brilliant green foliage. White tubal shaped flowers in summer and bean-like seed pod fruits in the fall. Distinguishing Characteristics: White tubal shaped flowers in summer and bean-like seed pod fruits in the fall.